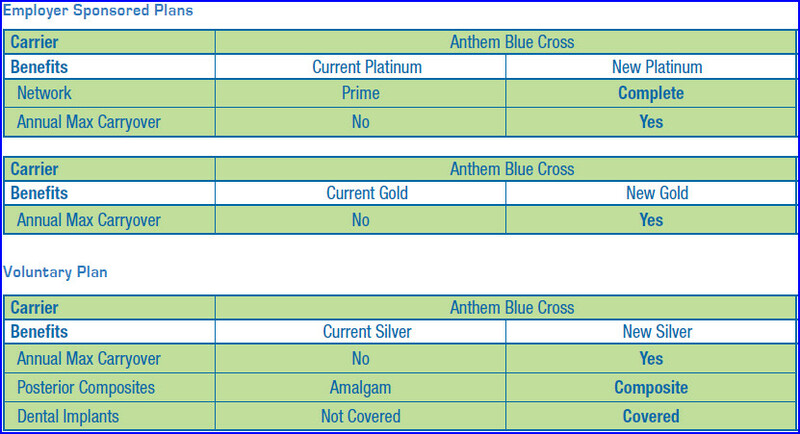 Rate changes for Ameritas, Anthem Blue Cross & MetLife. MetLife has moved zip codes beginning with 942 to MetLife Dental Area 2. They were previously in MetLife Dental Area 8.